Test Driven Development (TDD) and Refactoring Workshop - Just be Agile! 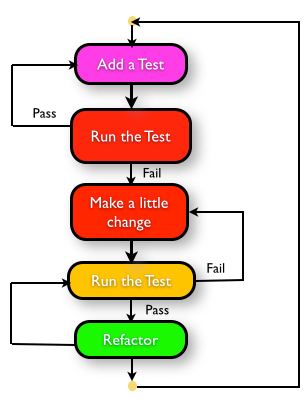 Test-Driven Development (TDD) is a practice for efficiently evolving useful code. While its name implies that it’s mostly about testing, test-driven development is primarily about design: it keeps programmers focused on exactly what they need to build and helps them avoid over-engineering. We’ll demonstrate the TDD Rhythm. 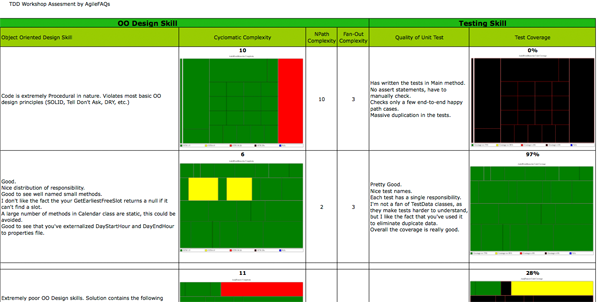 Participants will understand how TDD simplifies evolving lean, useful, fully tested software. We’ll give a small live demo of TDD and then Participants will get their hands dirty by using TDD on 3 different problems. We’ll conclude by highlighting the different styles of TDD. Behavior-Driven Development (BDD) combines the general techniques and principles of TDD with ideas from domain-driven design and object-oriented analysis and design to provide software developers and business analysts with shared tools and a shared process to collaborate on software development, with the aim of delivering “software that matters”.